Judith Miller, who through her reporting advocated invading Iraq in 2003, has been blasted on Twitter after criticizing President Barack Obama’s decision to commute Chelsea Manning’s prison sentence. “How many people have died” as a result of Manning’s leaks?, Miller tweeted. Miller, now a Fox News contributor, was a New York Times journalist who cited dodgy, unnamed sources in her reporting on the nonexistent weapons of mass destruction (WMD) in Iraq, leading up to the war that cost the lives of 4,424 US troops with 31,952 of them wounded. With such baggage, it came as no surprise that Miller’s arrogant tweet would ignite a twitterstorm. Judy's Iraq-War starting stories ALL based off leaks. Those leaks killed 100s of 1000s. @JMfreespeech Your lies contributed to the deaths of more than 170,000 people. You are a weapon of mass destruction. @JMfreespeech Do you realize you're THAT Judith Miller? Miller said the false information that pushed America into the war was a mistake. "They were mistakes, not lies," she said. Semantics aside, her “mistakes” did help justify the invasion of Iraq, which, according to an investigation by the International Physicians for the Prevention of Nuclear War, led to the deaths of around one million people in Iraq, with 220,000 people killed in Afghanistan, and 80,000 in Pakistan. “And this is only a conservative estimate. The total number of deaths in the three countries named above could also be in excess of 2 million, whereas a figure below 1 million is extremely unlikely,” the report states. 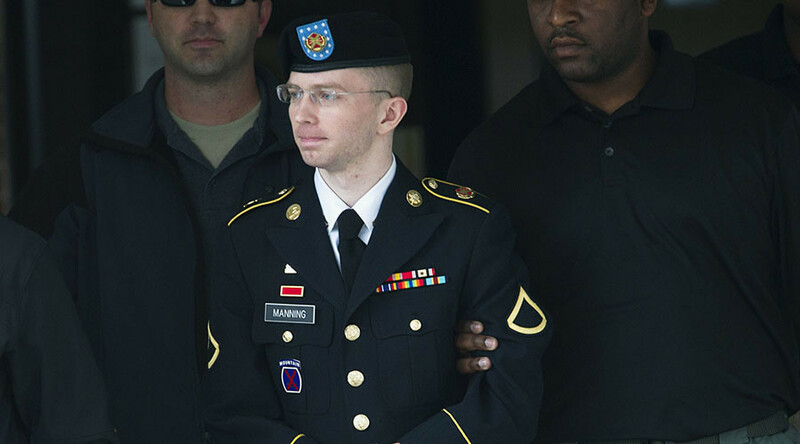 Manning has been imprisoned for the last seven years sometimes, in solitary confinement for 23 hours a day. Manning was given a 35-year sentence for leaking hundreds of thousands of classified documents, which came to be known as the “Afghan War Diary” and “Iraq War Logs” to Wikileaks. After going to court in 2013, Brigadier general Robert Carr, a senior counterintelligence officer who headed the Information Review Task Force that investigated the impact of WikiLeaks’ disclosures on behalf of the Defense Department, told the court at Fort Meade that there were cases of any deaths caused by Manning’s leak. "As a result of the Afghan logs I know of one individual killed – an Afghan national who had a relationship with the US government and the Taliban came out and said publicly that they had killed him as a result of him being associated with information in these logs," Carr said, according to the Guardian. A document from the Iraq War Logs shows that the military recorded 109,032 deaths in Iraq from January 2004 to December 2009. That figure included 66,081 "Civilian" deaths, 15,196 "Host Nation" deaths, 23,984 "Enemy" deaths, and 3,771 "Friendly" deaths.